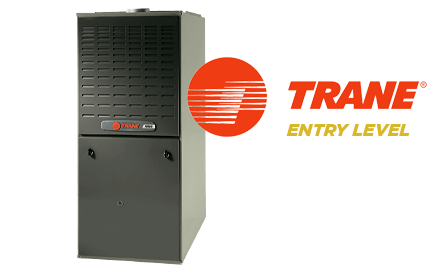 The XR80 and XT80 gas furnaces are Trane’s entry level systems. Both models are 80% efficient and operate as single stage (i.e., single output) gas furnaces. The XT80 offers a more electrically efficient blower motor when compared with its XR80 counterpart. Tested, durable components help ensure reliable operation for your home comfort.